If you suffer from asthma the Asthma Diary plugin for WordPress is an alternative to the printed asthma diaries. 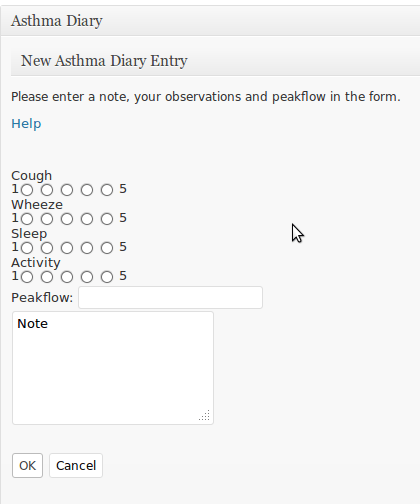 The Asthma Diary will save your results in a databasse, and you can monitor the progress by bars and peak flow graphs. The plugin has been developed for use with the miniWright Peak Flow Meter – but the plugin can be used by any meter measuring peak flow. This plugin was made, because my doctor asked me to write an asthma diary by hand. Then I wondered: why don’t we do this on the internet? Cough: did you cough? You can evaluate the cough from 1 – 5. 1 is mild symptoms. 5 are severe symptoms. If you don’t click the radio button the value will be 0 signifying no symptoms. Wheeze: did your lungs wheeze? You can evaluate the wheeze from 1 – 5. 1 is mild symptoms. 5 are severe symptoms. If you don’t click the radio button the value will be 0 signifying no symptoms. Sleep: how did you sleep during the night? If your astma disturbed the sleep valuses from 1 – 5. 1 is mild symptoms. 5 are severe symptoms. If you don’t click the radio button the value will be 0 signifying no symptoms. Activity: was asthma provoked by activity? 1 – 5. 1 is mild symptoms. 5 are severe symptoms. If you don’t click the radio button the value will be 0 signifying no symptoms. Peak flow: blow as hard as you can in the peakflow-meter. Repeat 3 times and write the highest value in the form. Note: Here you can write any note on your condition. It could be something like: “Medicine: 2xSerevent, 3x Bricanyl …” or something else. 80% – 100% of the best peakflow value is the green zone. A peak flow reading in the green zone indicates that the asthma is under good control. 79% – 51% is the yellow zone. Indicates caution. 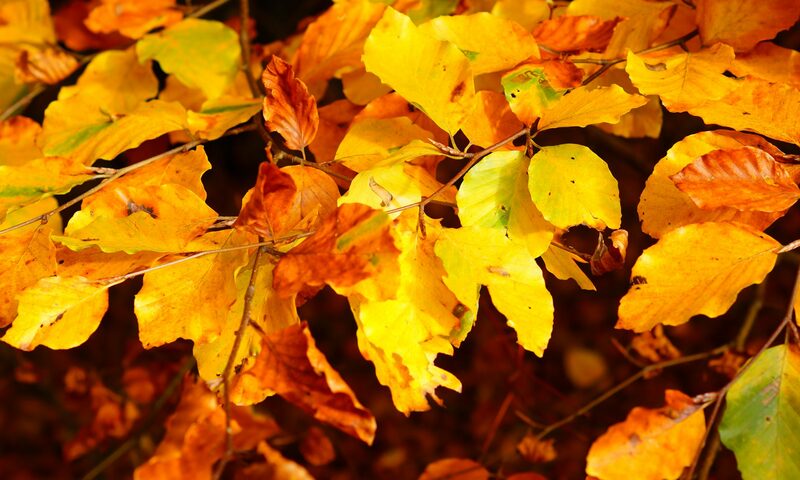 It may mean respiratory airways are narrowing and additional medication may be required. 50% and below are the red zone. Indicates a medical emergency. You have to use the Asthma Diary for a while before you can trust these indications. 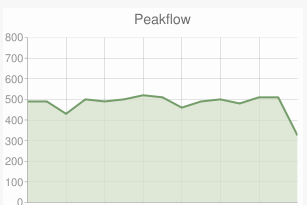 Peak flow indication – the last entry was lower than average. First you – or your webmaster – have to install the plugin. The plugin will create a database for your observations of asthma symptoms. After the install you can enter new posts in the Dashboard – or create pages with the shortcode “asthmadiary” in sharp brackets [ ]. The Asthma Diary is made for personal use. If you need more elaborated versions for medical tests or research, please contact me. The plugin is for private use. Other users on the WordPress blog will not be able to read your personal asthma diary. If you want to discuss the asthma symptoms with your doctor – or other professionals – you can simply print the results. Personal use of this plugin is free. Commercial use: please contact the author for a license.